Of all the things Google is really good at, patience isn’t necessarily one of them. To prove Web applications like Gmail and Google Docs could be as sophisticated as desktop apps, Google created its own desktop software a couple years ago — a small utility called Gears. Once it’s installed on a user’s computer, features like offline caching of e-mails and drag-and-drop file uploading would be unlocked. Many of those features are beginning to be adopted by HTML5, the next revision to the standard programming language that powers the Web. For the time being, Gears will still feature a number of tools that can be opened using Firefox and Internet Explorer. The technology is built into Google’s Chrome browser. As Google prepares to release its first beta version of Chrome for the Mac (a developer preview has been available for months), the company is letting the sun set on its Gears project. “Just because you live in the United States, don’t assume that everything is on Windows,” Orr said. Orr said Ubuntu is a popular choice on netbooks, though he declined to confirm that with any hard statistics. Terms of the deal weren’t disclosed by Apple, which confirmed the purchase on Friday. ITunes is the leading music service in the United States with more than 70 percent of all digital music sales and it is the leading music retailer overall. But newer music streaming services from the likes of News Corp’s MySpace Music and Spotify have begun to win over music fans in the last year. “Apple buys smaller technology companies from time to time and we generally do not comment on our purpose or plans,” Apple spokesman Steve Dowling said. A source familiar with the matter said the iPod, iPhone and Mac maker is seeking new ways to expand iTunes to move it beyond being a predominantly download service for songs. The source asked not to be named. “Apple recognizes that the model is going to evolve into a streaming one and this could probably propel iTunes to the next level,” said the person. The iTunes store offers more than 11 million songs. Apple has sold billions of tracks through iTunes since its launch in 2003. The Lala service allows users to stream from the Internet any tune in its catalog of more than 8 million songs once for free, and then sells unlimited streams for 10 cents per track and MP3 downloads starting at 79 cents. British billionaire Richard Branson unveiled a commercial rocket plane that will allow tourists a chance to view the Earth and experience weightlessness from suborbital space. Branson said Monday that he hopes to offer tickets aboard his Virgin Galactic spaceliner for 200,000 US dollars each, giving adventurous, well-heeled travellers a chance to experience space for a fraction of the cost of a seat on a NASA shuttle or Russian spaceship. Branson, who is spending between 250 million and 400 million US dollars on the space venture, also said he planned to be on the craft’s first passenger flight some 18 months from now, accompanied by his family and the US designer of the space ship, Burt Rutan. 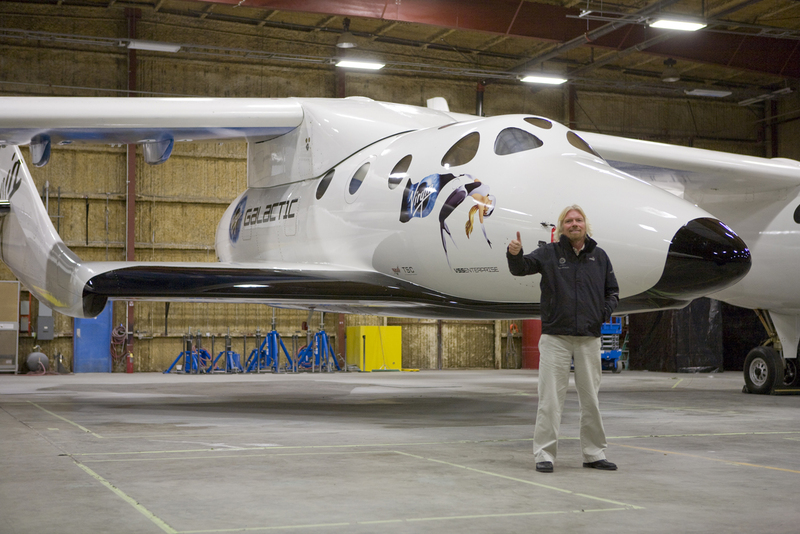 The futuristic-looking craft is composed of two parts — the SpaceShipTwo and the WhiteKnightTwo, the prototype of which has been dubbed Virgin MotherShip Eve in a tribute to Branson’s mother. The craft, emblazoned with the image of a young woman that represents Branson’s mother Eve diving through space, resembles two jet aircraft joined together at their wing tips. The White Knight will transport the two-pilot, six-passenger SpaceShipTwo high above the Earth where the space pod will break away and propel beyond the atmosphere. SpaceShipTwo “is attached to the mothership in the middle and when the mothership gets up to 60,000 feet, the spaceship will drop away,” Branson said. “They will ignite the rocket and it will go from zero to 2,500 miles per hour in 10 seconds,” he told AFP. Once it has reached suborbital space, SpaceShipTwo passengers will be able to view the Earth from portholes next to their seats, or unbuckle their seatbelts and float in zero gravity. A graduate student who must pay four record labels a combined $675,000 in damages for downloading and sharing songs online has been ordered to destroy his illegal music files - but a judge declined to force him to stop promoting the activity that got him in trouble. Joel Tenenbaum, a Boston University student from Providence, R.I., was ordered Monday to refrain from future copyright violations and to destroy copies of recordings he downloaded without authorization.